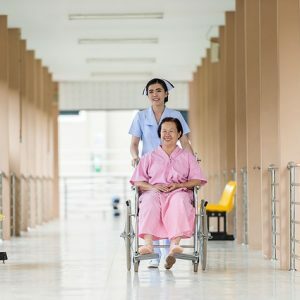 Anyone who has a loved one or friend who resides in a nursing home or other long term care facility knows the challenges for that resident- negotiating the terrain, voicing concerns or ensuring comfort and well being. Consumer Voice, an advocacy group that focuses on quality of care for residents of long term care facilities, has declared October to be National Residents’ Rights Month. It’s a time to honor those who live this way and to ensure that their rights are recognized and respected. In fact, by federal law, there are specific rights enumerated for such residents, and Consumer Voice has created a fact sheet of those rights, which you can read Here. Some residents need extra help to amplify their voices- they need someone to speak up on their behalf or investigate problems they experience. In every nursing home, there should be an available “ombudsman” who can be their advocate and seek out solutions when problems arise. To find out more, watch this video on the ombudsman program Here. And for more general info on how to find a long term care ombudsman, or even become one yourself, Click Here.